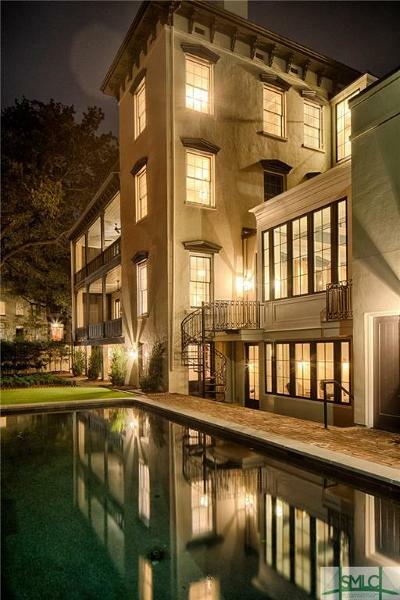 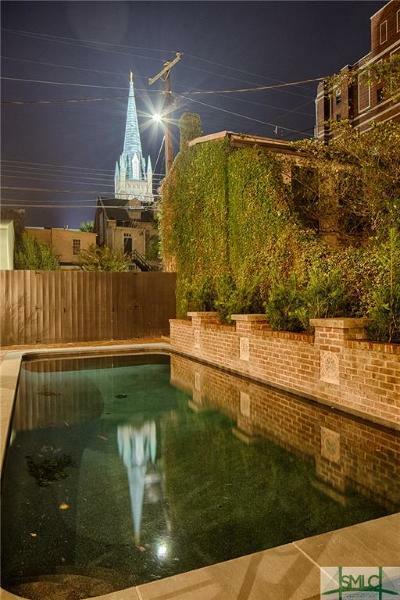 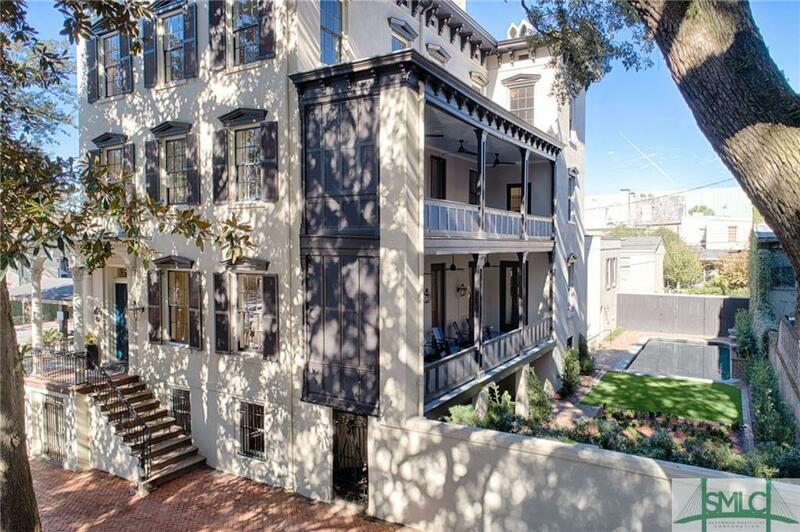 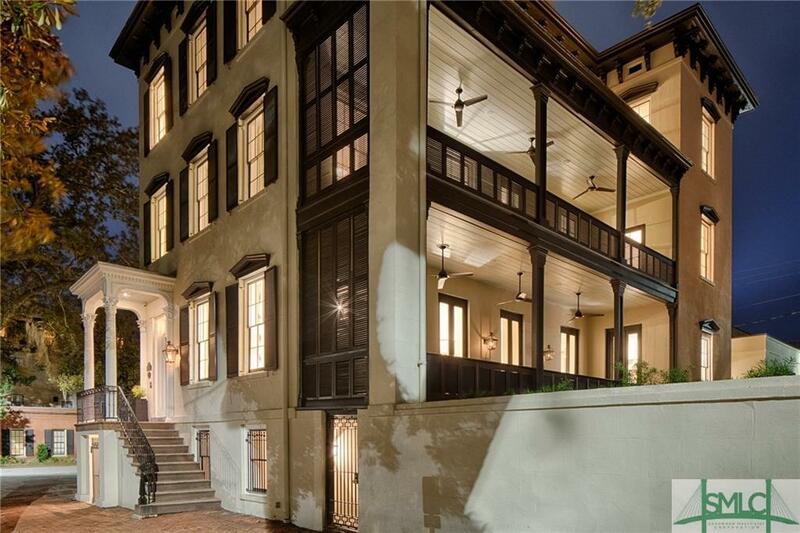 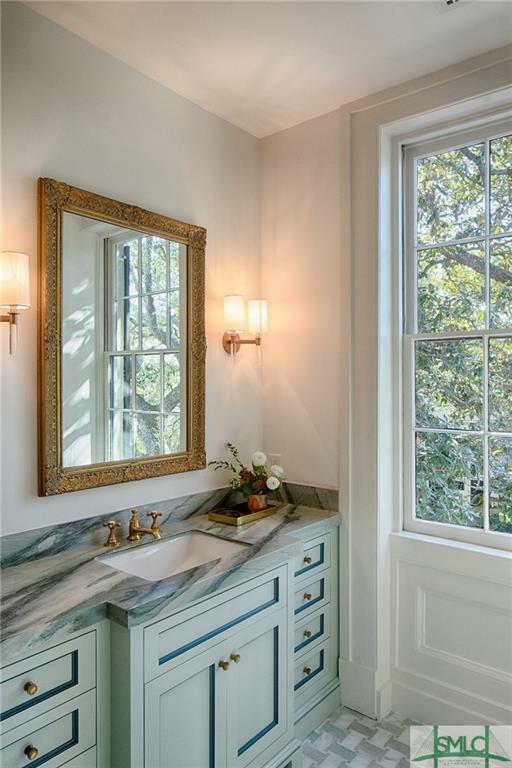 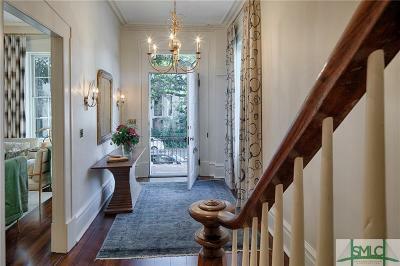 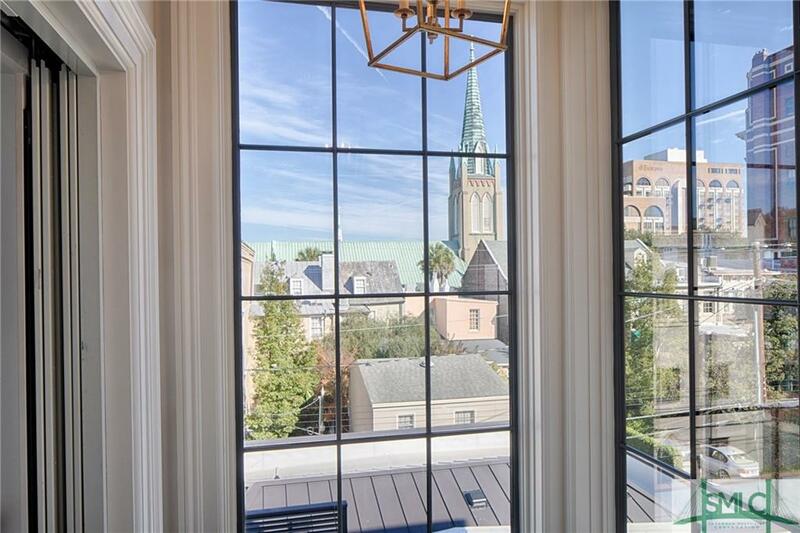 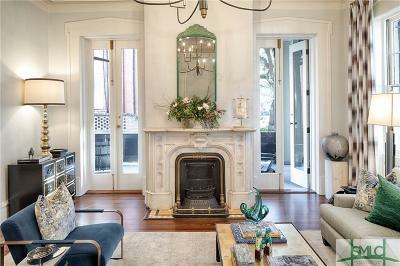 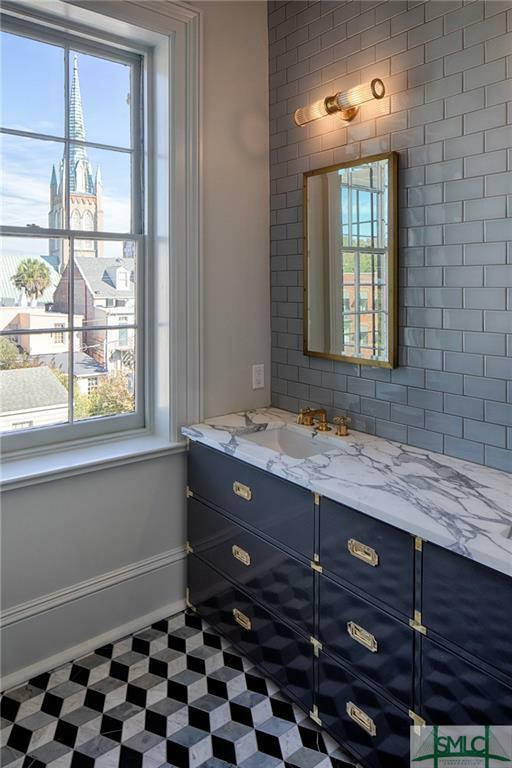 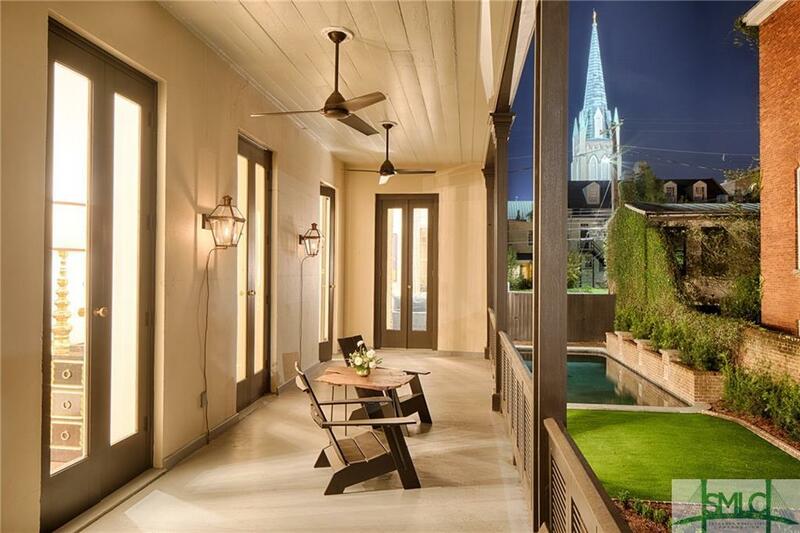 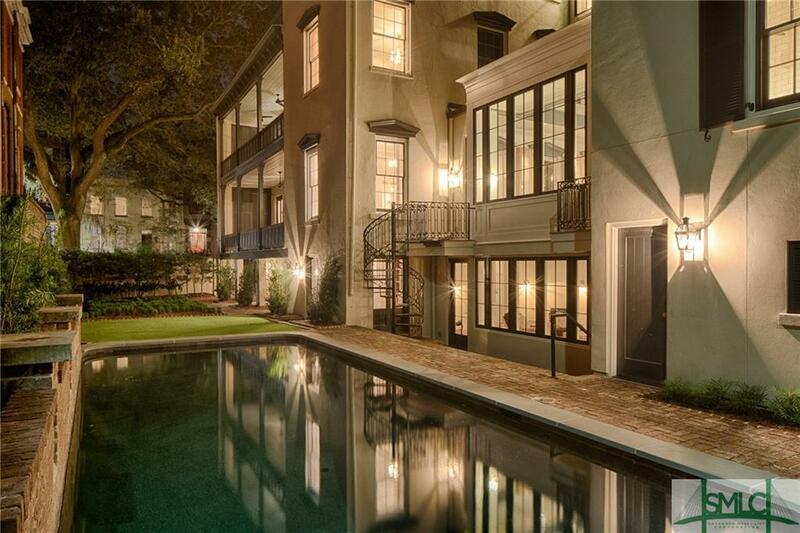 Nestled beneath the lush canopy of live oaks on Jones Street, this exquisitely renovated 5-bedroom, 4.5-bath home offers exceptional interiors, magnificent double porches, an elevator and the ultimate in Savannah style. 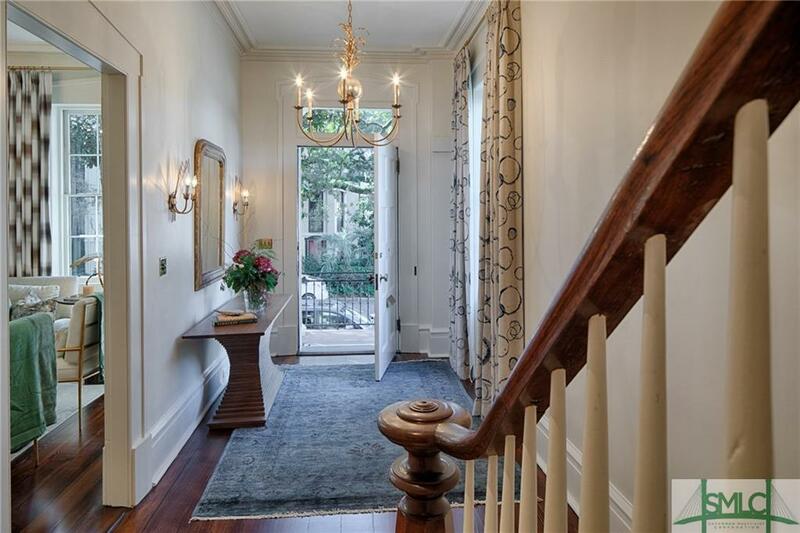 This elegant 1848 Greek Revival home is filled with custom, high-end details and is absolute perfection! 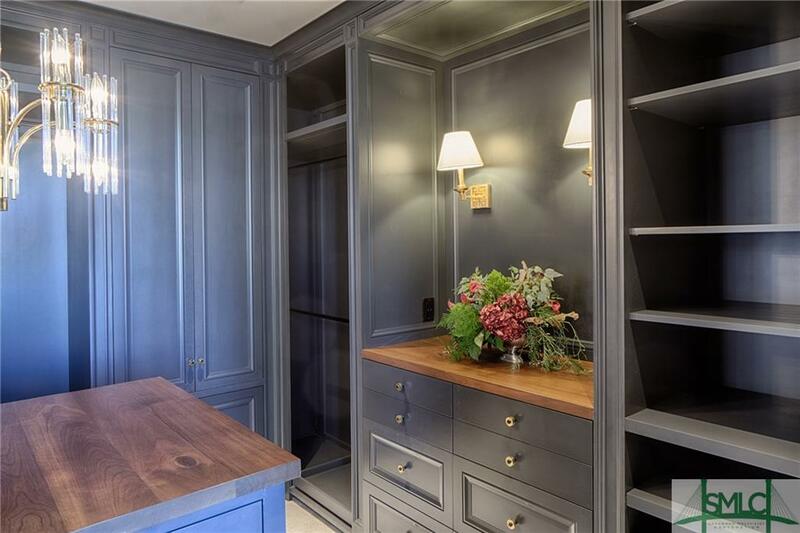 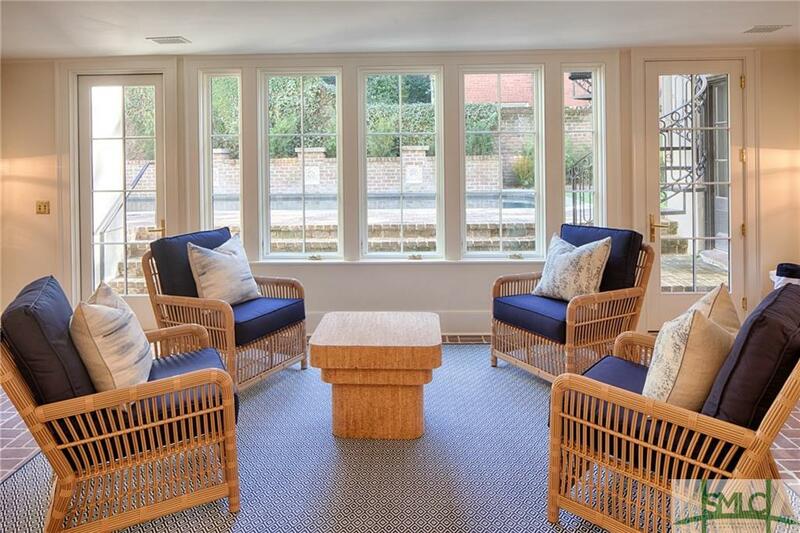 Distinguished by a sweeping suite of entertaining rooms as well as private living spaces, this home has been renovated with the ultimate attention to detail. 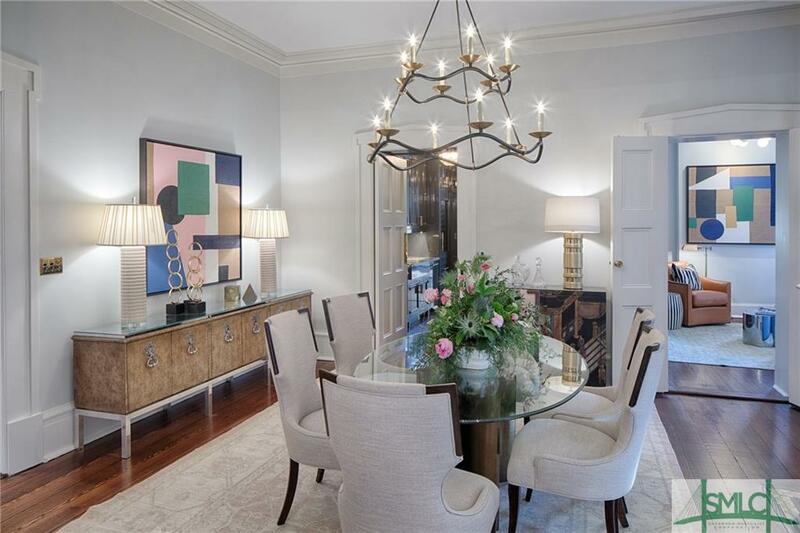 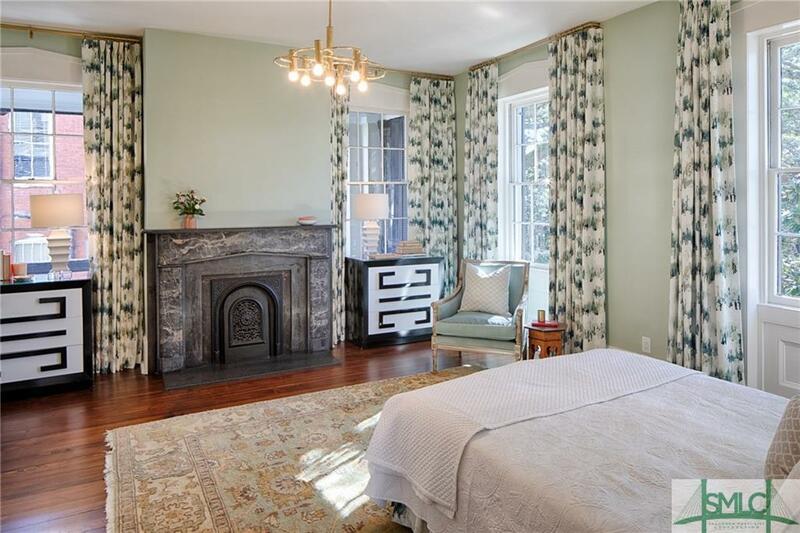 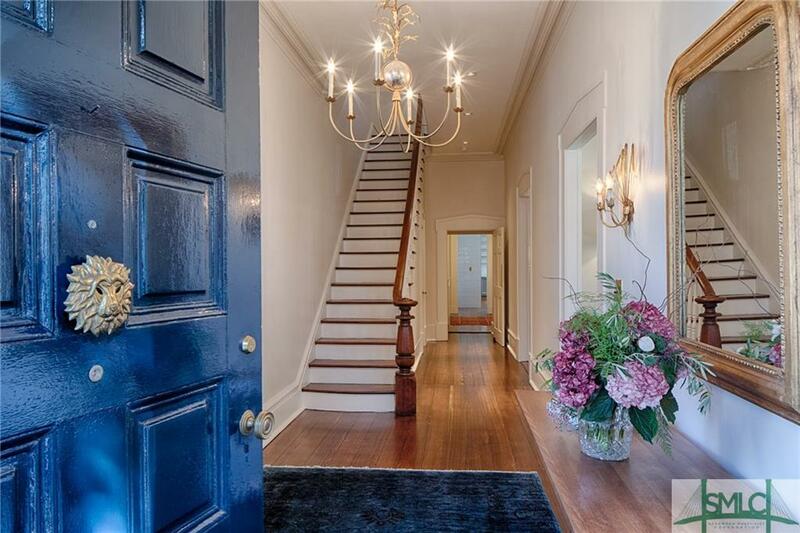 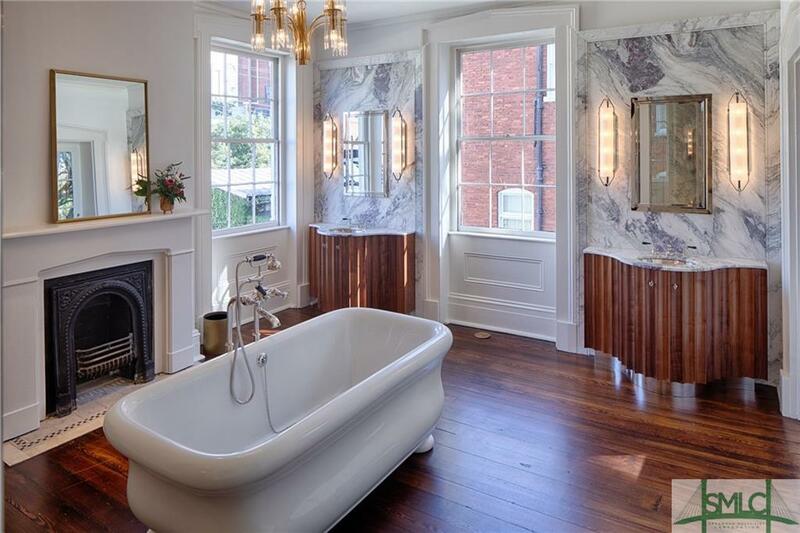 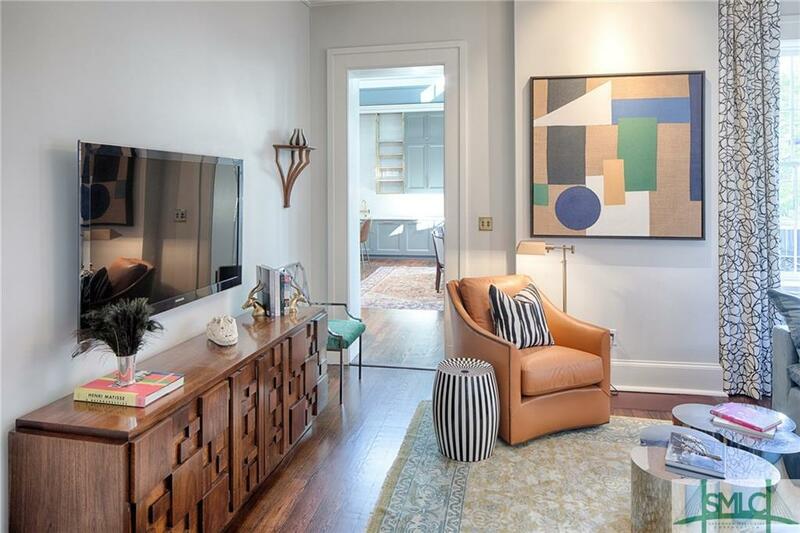 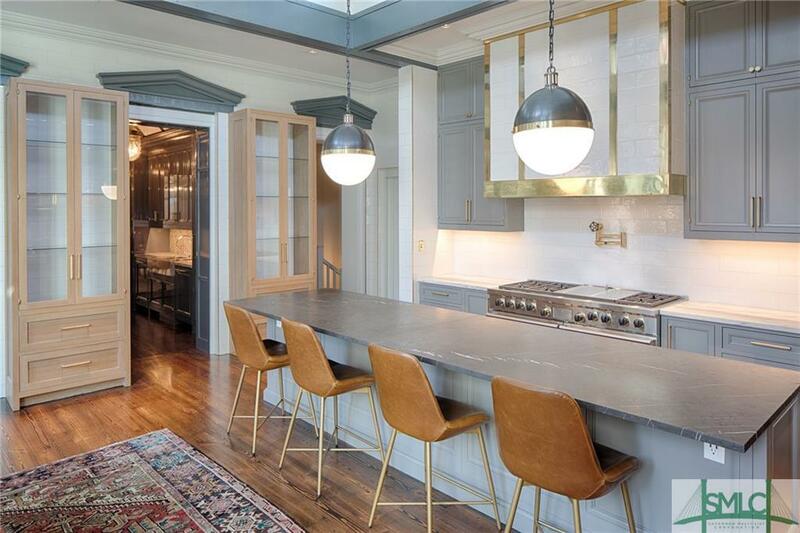 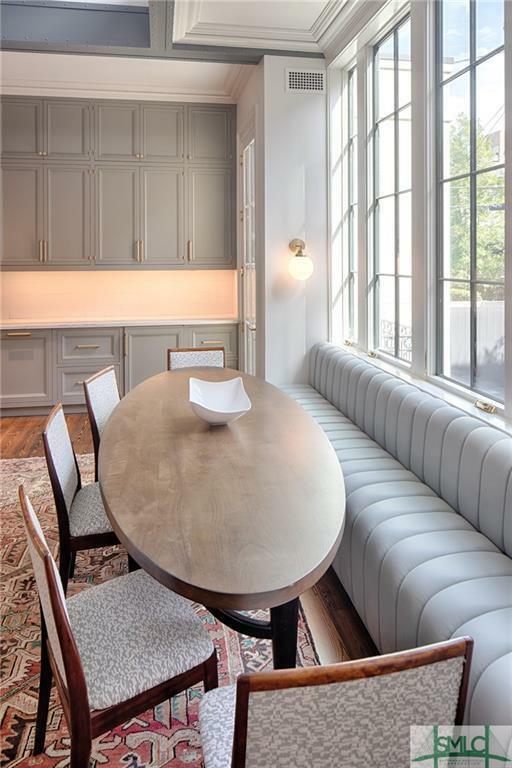 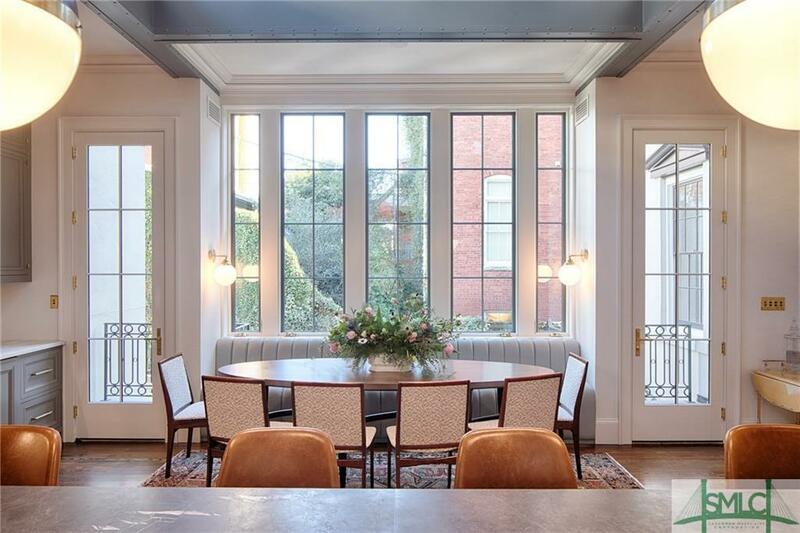 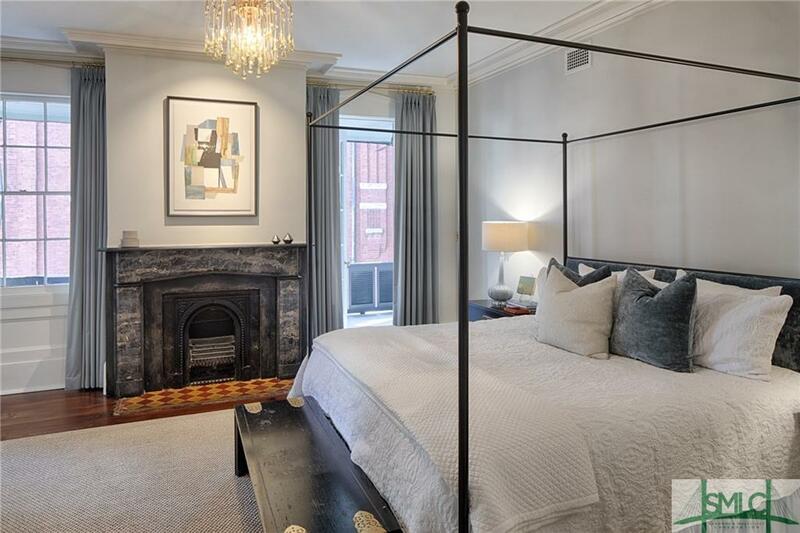 Ideal for grand parties, this light-flooded residence includes high ceilings, original fireplaces, heart pine floors and hand-carved plaster moldings. 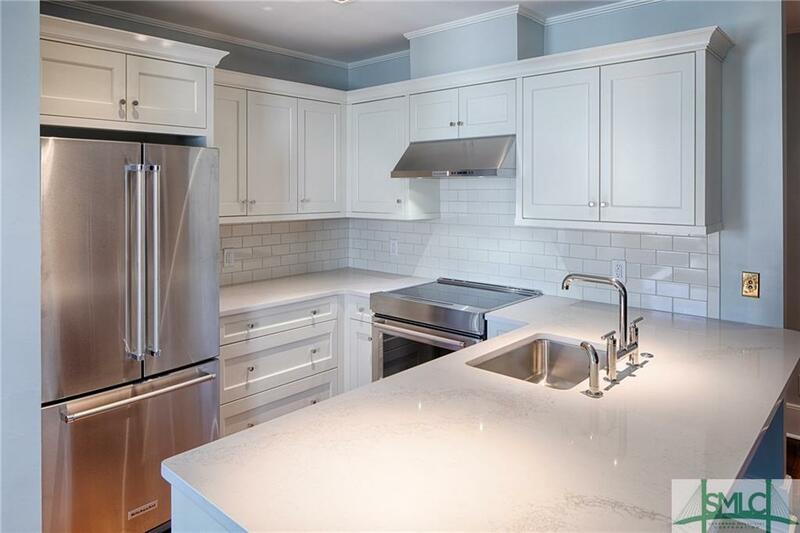 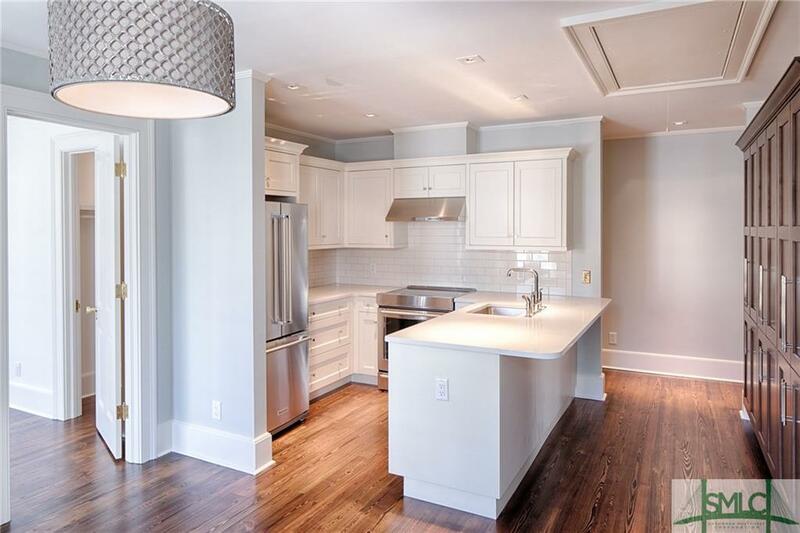 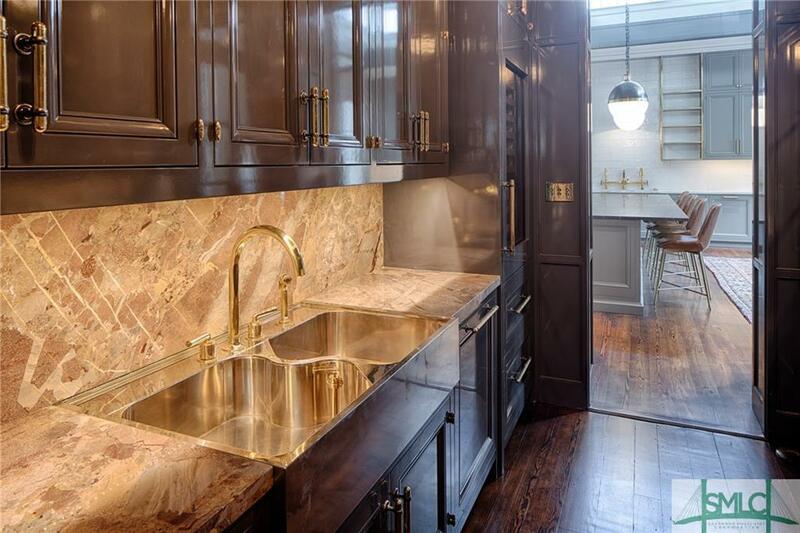 A spacious gourmet kitchen features a spectacular butlerâs pantry, custom cabinetry, Waterworks faucets, commercial-grade Sub-Zero and Wolf appliances, Imperial Danby and Bardiglio marble. 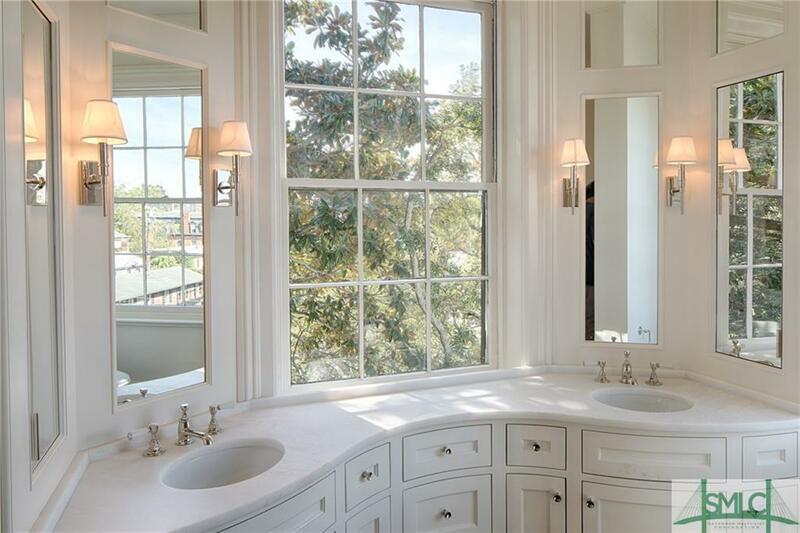 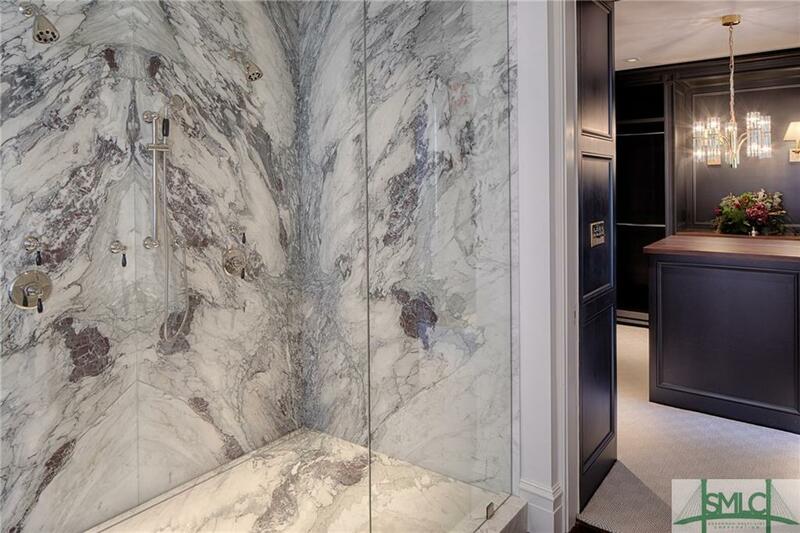 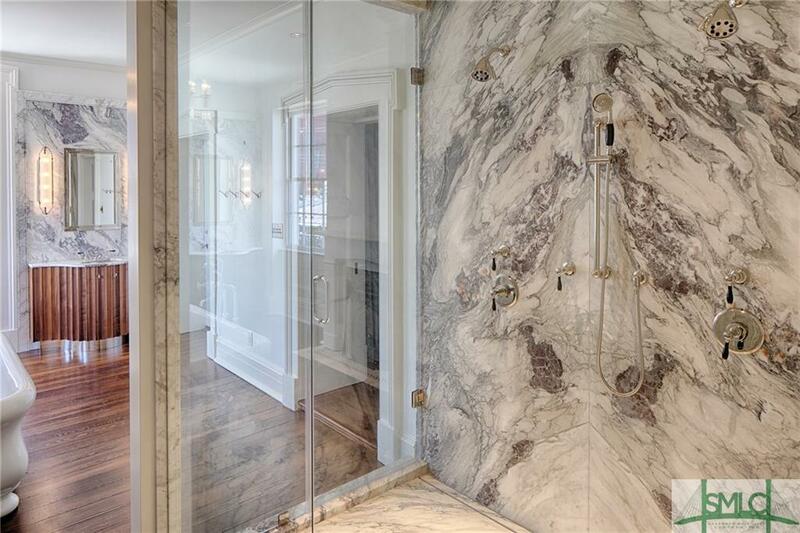 The en suite master boasts a stunning glass shower and soaking tub. 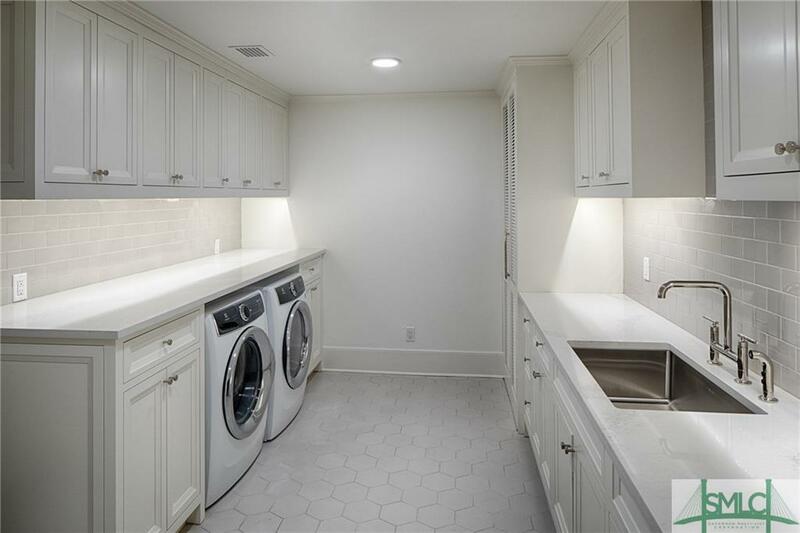 Plus 2BR, 2BA apt. 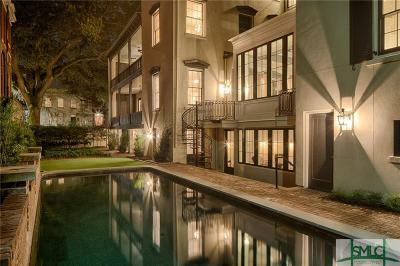 above 3-car garage, garden-level suite, formal gardens, swimming pool & pool lounge.